The Firenze comes in our beautiful Gold broken metal leaf and Warm Gold. 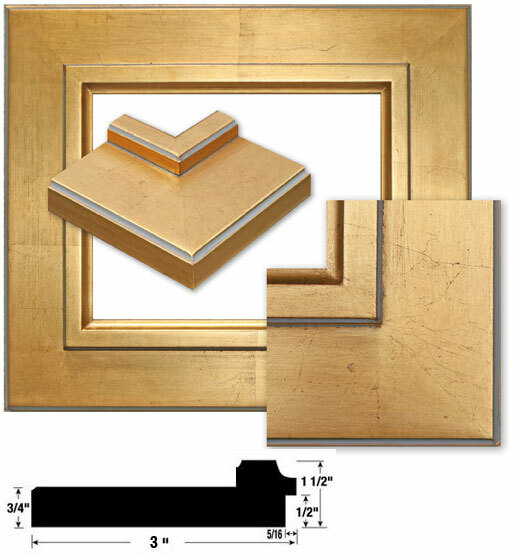 Subtle red underpainting and beautiful finish that gives this frame its antique luster. An exquisite and unique frame. Allow 4-5 weeks delivery, usually they arrive sooner. Custom sizes may be ordered in this frame, click here for details. You will be asked to enter custom size at checkout.